How many students do we have enrolled? As students come and go throughout the year, it's possible that the number of students enrolled differs from the number of students you've been invoiced for. You can check the number of students you have enrolled, and make changes to this, at any time. Open Manage Accounts in the Control Panel. 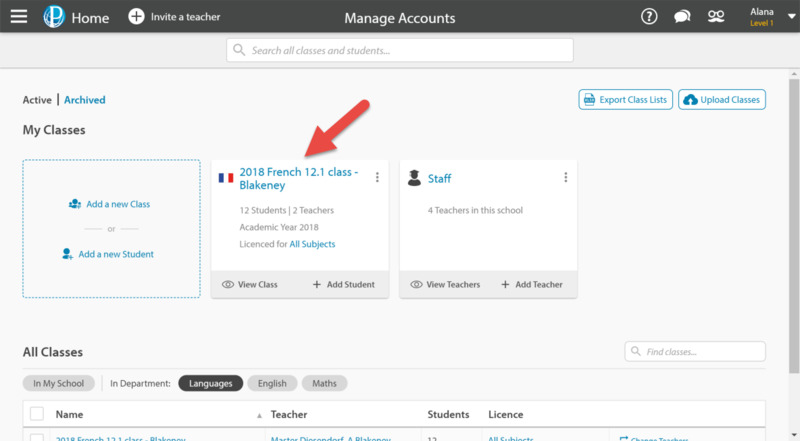 All of the classes in your school will be listed, with classes you are a teacher of at the top in bold. Click on the class you require. Each of the licences your school has been allocated will be listed on this page. You can see the number of students you currently have enrolled and the number of licences you have been allocated/invoiced for at the far right, under the Students column. You can also see whether this licence is a trial licence, which subject areas it covers, and when the licence will expire. To see which classes are on a licence, click on it; the classes will appear under Classes on this licence. 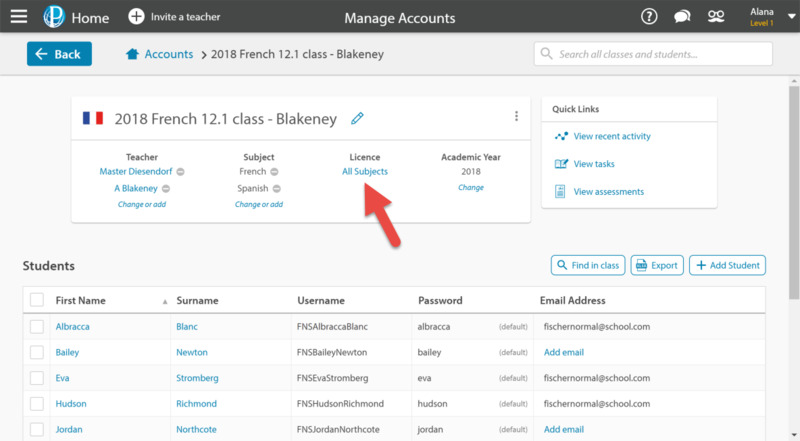 To change the students on your licence, see How do I change which class a student is in?